The starting point of this chapter is the Lalonde health model, which takes into account the influence of non-medical factors upon human health. As it turns out, health services contribute to good health to a lesser extent than human behavior and genetic background. Since lifestyle choices and behavior prove to affect human health significantly – both as improvement or deterioration – nutrition habits determine some of the most severe illnesses that health care systems must deal with, also augmenting the burden of disease. 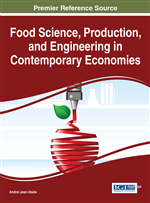 This chapter aims at emphasizing the impact of nutrition on individual and societal health using a varied range of indicators regarding food consumption habits among various populations of the EU Member States within the wider context of economic development (GDP/capita, Actual Individual Consumption, access to basic utilities – drinkable water and sewage systems, standards of living etc.). The health of a population should be perceived and examined in relation to its direct and indirect determinants. According to Marcu (2002), a health determinant is “a factor or any condition that has an effect upon health, or in measurable quantitative terms, has an effect upon the state of health”. The first example of substantiation of a health strategy based on a model that takes into consideration the major influence upon health of other factors besides medical services, dates from 1974 and can be found in the document known as Lalonde Report1. The conceptual model provided by this report was taken over by A. Dever in 1984 (Figure 1), remaining up to this date a reference model in health policy, due to categorizing health determinants into 4 groups: human biology, health care services, behavior and environment. The four categories of factors represented a step forward in understanding the relationships that affect health and in grounding the basis of new types of intervention. Quantitative epidemiologic arguments, which assign to behavioral factors the highest potential influence to improving human health, followed by the biological ones, environmental ones and only afterwards to the medical ones, have motivated interventions that allowed slowdown in growth or even reduction of the frequency of diseases or their consequences. As Drăgoi (2010) points out, the successes recorded in the last three decades for cardiovascular diseases, some cancers or accidents in many developed countries can be explained to a lesser extent by the progress of medical interventions, the role of behavior modification being the most important. The important factors that influence human health remain poverty, social factors, lifestyle, unemployment, unhealthy housing, environmental pollution, the level of education. These factors require a national approach accompanied by interventions at the community level, which should develop projects involving public and private resources in the community. For this it is of high importance that individuals take responsibility for maintaining or improving their health. As interpreted by the models described in the available literature, health determinants can be distributed into four groups (Table 1), each group including both direct and indirect determinants.